Please find attached agenda for the General Meeting to be held at the Roma Administration Centre on July 9, 2014 at 9.00am. The NFP organization savewater!® Alliance commenced 10 years ago providing water efficiency programs, products and services, targeted education schemes and resources. Significant investments have been made in the infrastructure of the organisation for sharing with members. 1. Access to all the content of the existing 900 page website including saving water in the home, garden, business, interactive sites, schools programs, knowledge about water products, research and surveys etc. 2. Personalized portal council access codes to a 250 page member specific section of the Alliance website that provides instant access to Council branded fact sheets, videos and web page links, an exclusive member photo library and embraces research, IT, Innovations, DVD’s, education, products and services. 3. A core service of the Alliance is public engagement through bill inserts promoting water efficient messages and competition prizes. This low cost access to the community provides positive engagement and market research for Alliance members. 4. Member access to low cost water efficient appliances and products including school education kits, garden appliances, showerheads, leak detectors, timers and water refill stations. 5. Experience in engaging communities using low cost, high impact digital resources, including web based software, videos, blogs, social media and interactive games. 7. Water valuing efficient product library with 303 products for independent not-for-profit advice on water efficient products like washing machines, greywater systems, irrigation and pool equipment. 9. Educational resources for schools, designed for the new Australian curriculum and based on lively interactive games and just developed, a schools kit for classroom projects. 10. Promoting green gardens and happy gardeners with water efficient gardening brochures, plant selection and irrigation advice. Gardening is a major household water use. 11. GreySmart is a national web application hosted by savewater!® Alliance that provides detailed information on managing greywater, regulations in each state and available greywater technology. Innovation through in-house research and development by savewater!® Alliance provides products not available to non-members. GreySmart includes links to high performing laundry detergents that clean clothes, are good for the garden and have low salt content for sewage treatment plants. 12. Maximum 11 business day turnaround for service requests. 13. Questions from members about products and general questions often lead to savewater!® Alliance conducting Australia-wide surveys with results available to members only and/or creating CD’s, videos or new products all from a member asking one question. 14. Access to the new 4 TV advertisements produced by savewater!® Alliance a service to members with savewater!® Alliance prepared to negotiate pricing on behalf of groups of councils if requested to save council funds. 15. Exclusive access to Australian manufactured Water Refill Stations. 25 stations have already been purchased this financial year with excellent feedback and repeat orders from many members. The price is over 50% below the price of other equivalent products on the market. Water Refill Stations promote Council water as a reliable safe product for residents. Membership for Council to join the savewater!® Alliance is $645.50/quarter in advance for annual membership. Corporate Plan 2009-2013 — 8.5.6(a) To promote community awareness in relation to responsible and efficient water use. Many visitors to the Maranoa are drawn to the region for the variety of nature based activities and variety of camping options available. The region has been experiencing an ongoing dilemma in the debate that compares commercial operations with non-commercial operations (which are in a close proximity with one another), while Council considers their capital outlay to maintain non-commercial sites with little to no direct financial returns. 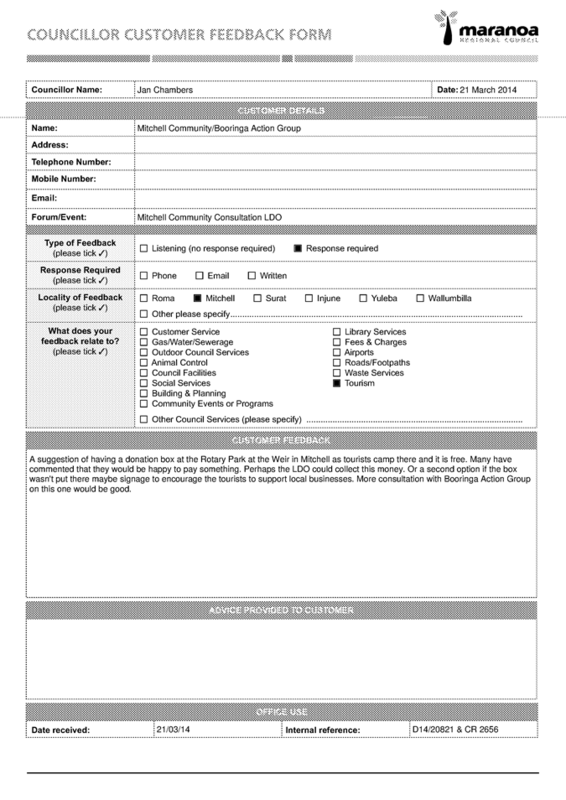 Recently, Council has received correspondence from a variety of sources, who have indicated their concerns about various camping options in the Maranoa. 4. Cost recovery for facilities maintained by Council. This report identifies in detail, the issues that have been identified for camping options throughout the region and seeks to identify suggested remedies. The report uses as a key tool the ‘Queensland Camping Options Toolkit’ developed by the Department of Tourism, Small Business, Major Events and the Commonwealth Games as a guide to developing regional camping options. Tier One: Commercial – Those sites which provide high level facilities such as Commercial Caravan Park operations OR those sites which are operating in close proximity to a Commercial, private Caravan Park. Tier Two: Camp Grounds – which are those sites that offer higher level facilities than basic camp sites (which offer minimal facilities including toilets, potable water, rubbish bins and/or Caravan Dump Points and do not operate in competition/ perceived competition with a commercial/ private operation. Tier Three: Basic Camp Sites – which are those camp sites that offer only basic facilities and/ or are located on a Reserve for Recreation purposes. 2. 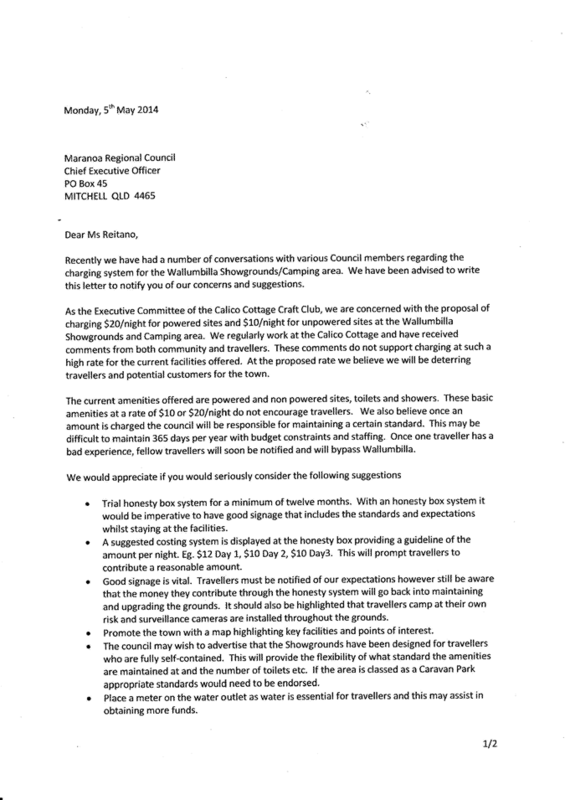 Council resolves to charge a rate of $13 per night to camp in an unpowered site, or $30 per night to camp at a powered site at Bassett Park, Roma. 3. Investigate options and source funding to assist with the management of campers at Bassett Park, including the provision of fencing to contain the allocated camping area. 4. 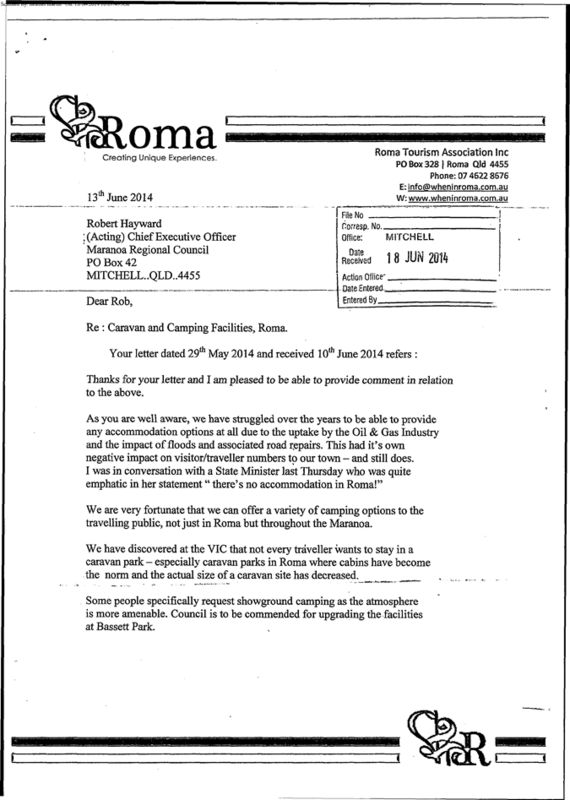 Investigate options for the management of the Bassett Park camping facility, including a business case to operate the free hold site as a Caravan Park or to manage bookings through the Roma Visitor Information Centre. 6. Council resolves to charge an overnight rate of $15 per powered site, or $10 per unpowered site at Wallumbilla Showgrounds and investigate viability of ‘user pays’ facilities for the site. 7. Council resolve to investigate options to install donation boxes at Basic Camping/ Recreation Reserves throughout the region, to install signage which encourages campers to ‘buy local’ and to investigate options for cost recovery, including installation of ‘user pays’ facilities at these sites. Camping is synonymous with the Australian way of life and in the Maranoa specifically, many visitors are drawn to the region for the variety of nature based activities and camping options available. The region has been experiencing an ongoing dilemma in the debate that compares commercial operations with non-commercial operations (which are in a close proximity with one another) while Council considers their capital outlay to maintain non-commercial sites with little to no direct financial returns. Recently, Council has received correspondence from a variety of sources, who have voiced their concerns about various camping options in the Maranoa. In March 2014, the Department of Tourism, Small Business, Major Events and the Commonwealth Games released the ‘Queensland camping options toolkit’ to assist local government to manage the changing needs of travelers. The toolkit has been used as a guide to inform Council of the changing needs of the drive tourism market in the Maranoa and the importance of providing a range of options, particularly with the expected future growth of this market. The aim is to provide options for campers that are consistent and predictable across the region in terms of the facilities provided and cost to stay. For the purpose of this report, an audit of each of the camp sites throughout the region has been undertaken (attached). 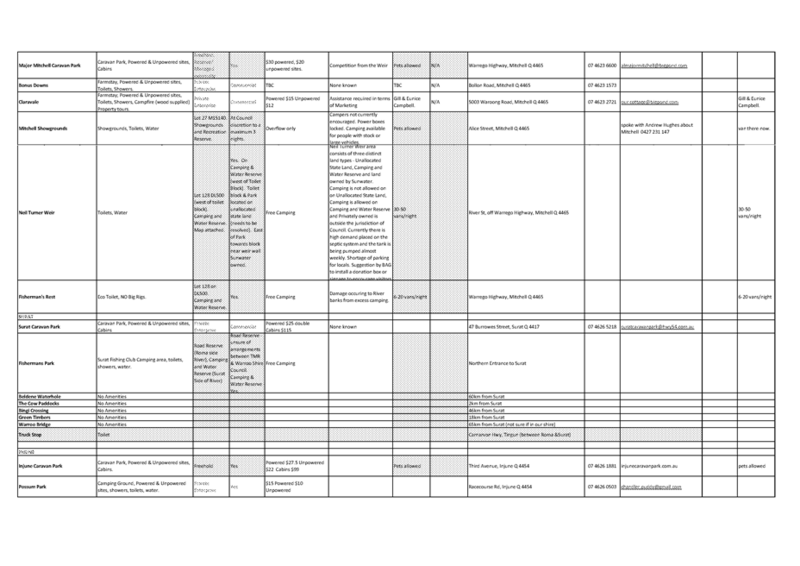 This audit looks at the facilities that are available at each site, the tenure of the site (to guide Council’s decision making power for the site), issues identified for those sites and the price per night for camping. These camping/ Caravan sites provide high level facilities including showers, toilets, dump point, power, potable water, laundry, camp kitchen, playgrounds, pool, barbeque facilities etc. OR operate in close proximity to a commercial operation that does provide such facilities. These sites offer higher level facilities (more than the basic camp ground, which provides toilet, bins, potable water, a dump point and/or picnic tables) that currently do not operate in competition/perceived competition with a commercial/ private operation. Sites that offer only basic facilities and/or are located on a reserve for recreation purposes. Council cannot charge for camping on these sites. Council could choose to adopt these categories for simplification of the range of options that are available and to further guide decision making. From these categories, the issues that have been identified throughout the region have been collated and suggested options for Council’s consideration have been made. Corporate Plan 2009-2013 — 8.4.2(a) To identify and implement actions that facilitates the development of the regional tourism industry. · Formally approach the Department of Main Roads with a view to negotiating a service level agreement for the provision of taxi services at the Roma Airport. At the most recent Airport Advisory Committee Meeting held on 2 July 2014, a number of recommendations were put forward by the committee for Council’s formal consideration. · The Committee recommends that Council investigates the installation of a temporary shelter at the front of the Roma Airport Terminal. These recommendations have been put forward on the basis of enhancing comfort levels for travelling passengers departing from the Roma Airport, until the terminal expansion upgrade is completed. Once the expansion is finalised passengers will queue inside the terminal, negating the current issues experienced. Presently during peak periods, passengers can at times queue outside the terminal for an extended period of time. During both the summer and winter months temperature extremes are observed, and the placement of temporary shelter at the front of the terminal will improve passenger comfort during the intervening period. In addition, during the winter months, low temperatures at the airport necessitate the provision of temporary heating, again to improve comfort levels for patrons queuing outside the terminal during peak times. · The Committee recommends that Council investigates the extension to the existing General Aviation Apron at the Roma Airport using a gravel hard stand area including tie down facilities. This recommendation has been put forward by the committee on the basis that during peek times there are no spaces available for aircraft during to park of tie down planes. These works are not currently planned for as part of the terminal expansion. Internal investigation would seek to determine the frequency for which parking congestion is experienced. The committee has suggested that Council consider extending the apron to the west, by way of laying a gravel hard stand, with accompanying tie down facilities. · The Committee recommends that Council consider implementing a service level agreement between Council & Main Roads for the provision of taxi services at the Roma Airport. This recommendation has been put forward as a result of passengers notifying the Airport Manager and committee members, that there is a lack of available taxis at the airport during flight arrivals, and delays experienced in collection from the terminal. In negotiating an agreement, Council will have an opportunity to specify appropriate arrangements. Obtaining estimates will further clarify potential costs for the remaining recommendations. Cr. Denton & Cr Schefe welcomed all present and declared the meeting open at 6.10pm. 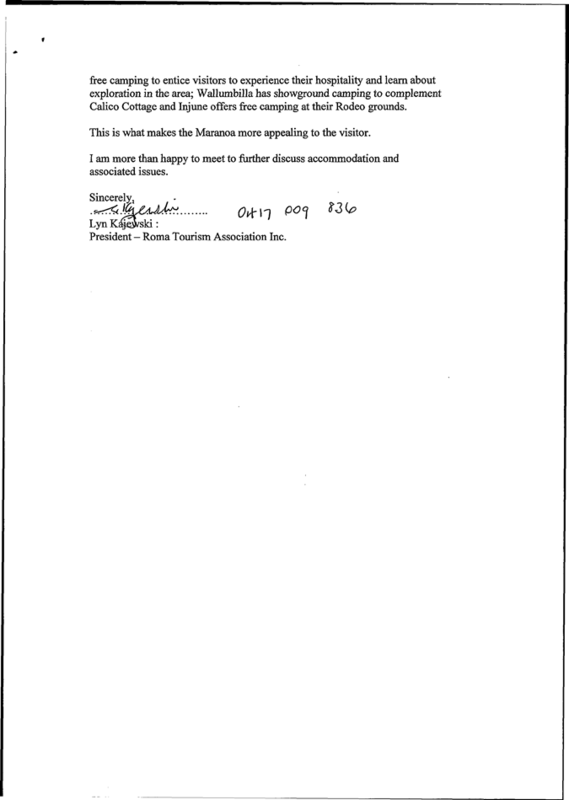 Resolution: That the Airport Advisory Committee Meeting minutes of the 4th June 2014 be confirmed. Resolution: The Committee recommends that Council investigates the extension to the existing General Aviation Apron using a gravel hard stand area including tie down facilities. Mr Ben Jones updated the committee on VASI lighting system – while there has been a hold up in the supplier of the lighting system receiving their components to enable them to construct their system, the majority of these have now been received. The bobcat operator & electrician have been engaged to commence work next week for the electrical installation, with the PAPI being delivered at this stage in the first week in August. Sale of Vending machine – invoice received by Roma Aero Club – coordinating a time to transfer the physical machine and complete training to Aero Club representatives. 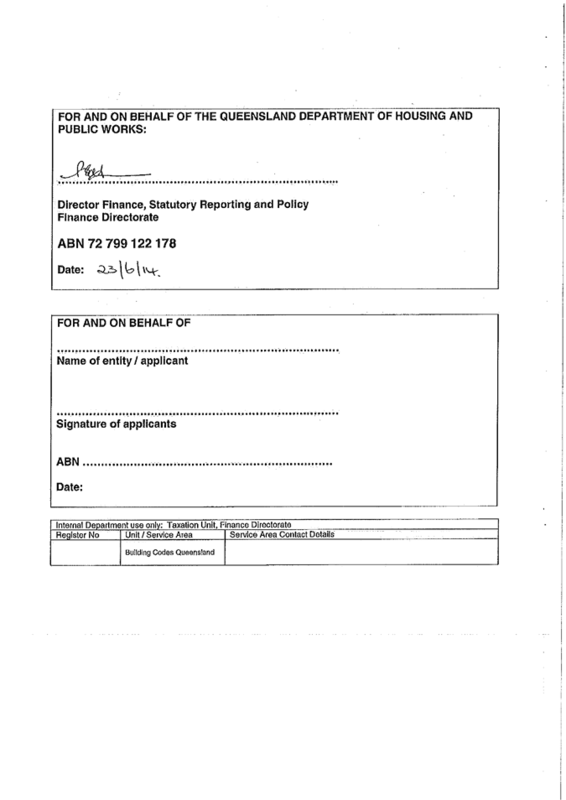 FIDS – Ben has given Wayne Bryant (QLink Agent Manager) the Operations Manual. There is the ability for the supplier to connect remotely if there are further questions. Tourism – JPEG format required – each TV is different so testing needs to be done to check which format suits what TV. Currently finalising some initial challenges, however, it is intended that a further report be presented to Council with respect to the car park phase of the project in the near future. The car park expansion will be constructed by Maranoa Regional Council, with the terminal component of the project tendered. Ben Jones spoke about a potential 3rd route being considered by an Airline which would be open to the public and fly direct to Sydney. They aim to provide competitive pricing and a flight 1 hour in duration. The committee discussed passengers queuing outside the Airport Terminal, and put forward the following recommendations for Council’s consideration. The Committee recommends that Council consider installing a temporary shelter at the front of the Roma Airport Terminal. The Committee recommends that Council investigate the installation of an outdoor gas heating system – urgently. General discussion was held over the high demand for check-in counters during peak times. 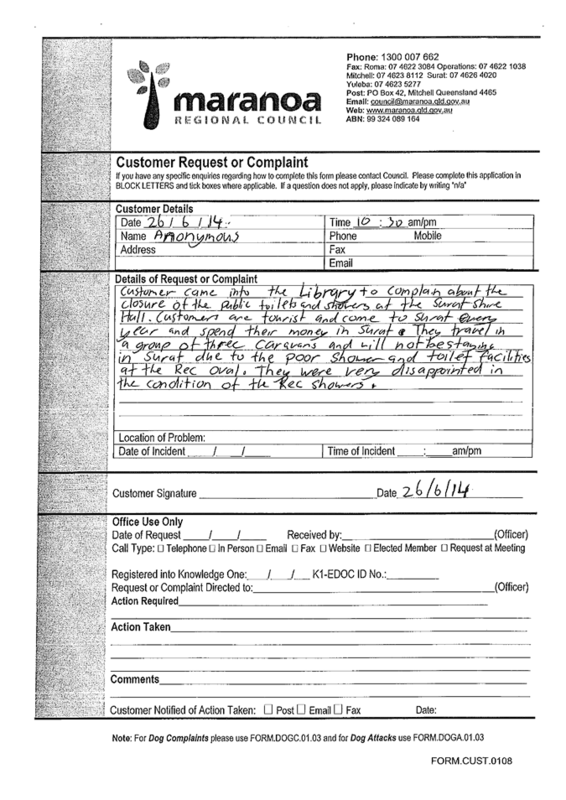 Peter Flynn requested that 2 counters be available for Qantaslink usage. Discussion was held over the demand for GA (General Aviation) parking at the Roma Airport. At times there are no available spaces for these aircraft to park or tie down. The ability to extend the apron to the west was discussed with possible options for more parking areas. The Committee recommends that Council investigate an extension to the existing general aviation apron using a gravel hard stand area including tie down facilities at the Roma Airport. Mr Ben Jones spoke about refuelling operations and helicopter operations. A recommendation has been made by Greg Shaw that a note be added to the ERSA – “When the Careflight helicopter is out on the pad and the light is flashing – any aircraft that need refuelling contact them via CTAF.” General discussion took place in relation to the safety & procedures during refuelling when Emergency Aircraft are in the vicinity and noting a new procedure in the ERSA. Mr Ben Jones reported on changes to taxi metering in general, plus the option for potential service level agreements to be sought between Council & /Main Roads. A general discussion was held on taxi services to the Airport at present and in the future. The Committee recommends that Council consider implementing a service level agreement is set between Council and main roads for the provision of a taxi service at the Roma Airport. Mr Ben Jones to contact Tony Partridge in relation to his attendance at the next Airport Advisory Committee Meeting to speak on this matter. The Committee scheduled the next meeting for 6th August, 2014 commencing 6pm, to be held at the Council Chambers. The meeting was closed at 7.05.pm. In order to create a level fee structure between charter and RPT operations, it has been proposed that one fee of $42.90 be applied to all passengers travelling on aircraft that are required to park on the high strength apron. To give an equal and transparent fee structure, the Airport’s Passenger Tax is proposed to be combined into one fee of $42.90, to be applied to all passengers travelling on aircraft that are required to park on the high strength apron. At present passengers travelling on Charter Aircraft less than 5700kg provide revenue estimated at $126, 935.16 p.a. The proposed amendment would see this amount as lost revenue. The Airport’s current budgeted revenue is $12,520,125.34 under the current fees & charges. The proposed amendment would result in a budgeted revenue for the Airport of $12,972,093.34, this would result in an increase of $451,968.00. The Australian Tax Office requires Council to endorse the Agreement For Recipient Created Tax Invoices. 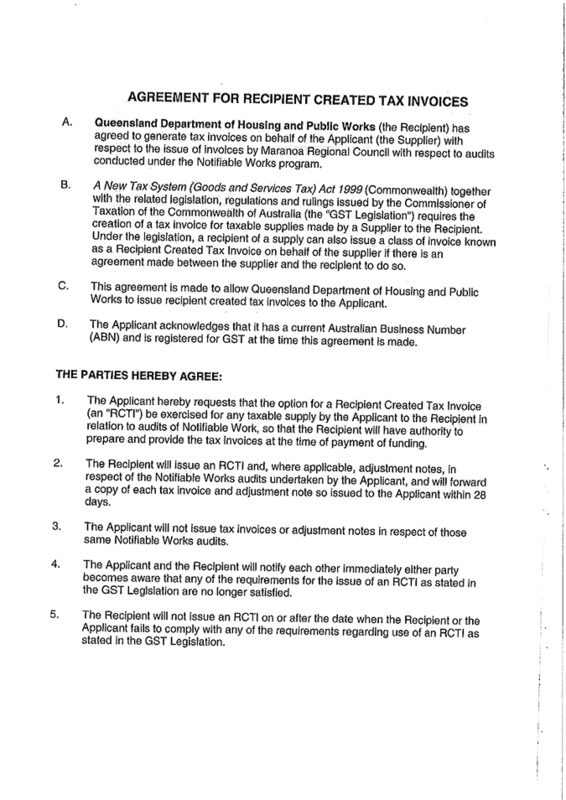 That Council endorse the Agreement For Recipient Created Tax Invoices and that authority to sign the Agreement is delegated to the Chief Executive Officer. The Department of Housing and Public Works reimburses local governments for audits of notifiable work performed in their respective areas. To help pay local governments, the department generates an invoice from information collected through the Plumbing Application System (PAS). To facilitate future generating of invoices, the Australian Tax Office requires Council to agree and sign the enclosed Recipient Created Tax Invoice Agreement. This agreement must be signed before the Department can raise further invoices for Council. 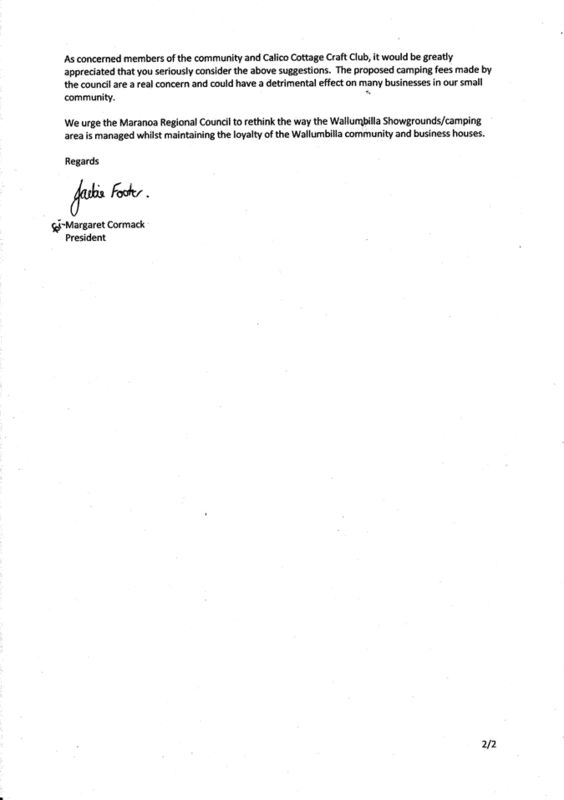 Corporate Plan 2009-2013 — 8.3.2(a) To undertake Council’s regulatory function in relation to the administration of Building Certification Codes and legislation in a consistent and responsible manner in the interests of maintaining community standards and wellbeing. 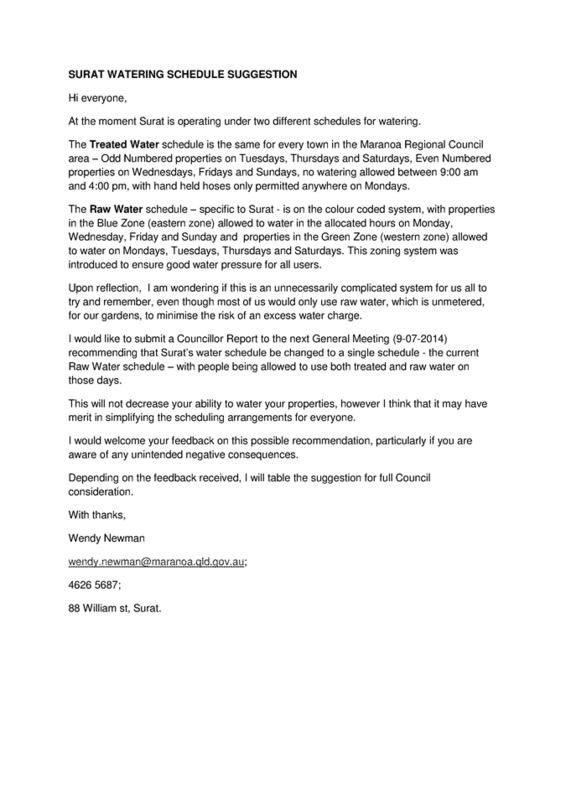 · That the changes be implemented when the community is informed of the updated schedule in the next issue of the Surat Water Stats Newsletter. Currently, the town of Surat is operating under two different waters schedules. 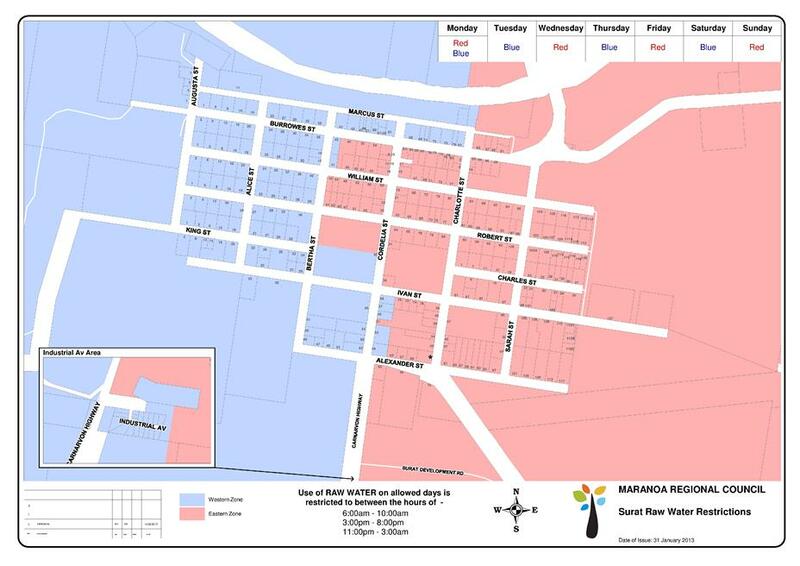 The treated water schedule is the same as all towns in the Maranoa Regional Council area, being – odd numbered properties on Tuesday, Thursday and Saturday, and even numbered properties on Wednesday, Friday and Sunday. No watering is allowed between 9.00am and 4.00pm, with hand held hoses only permitted on Mondays for all locations. 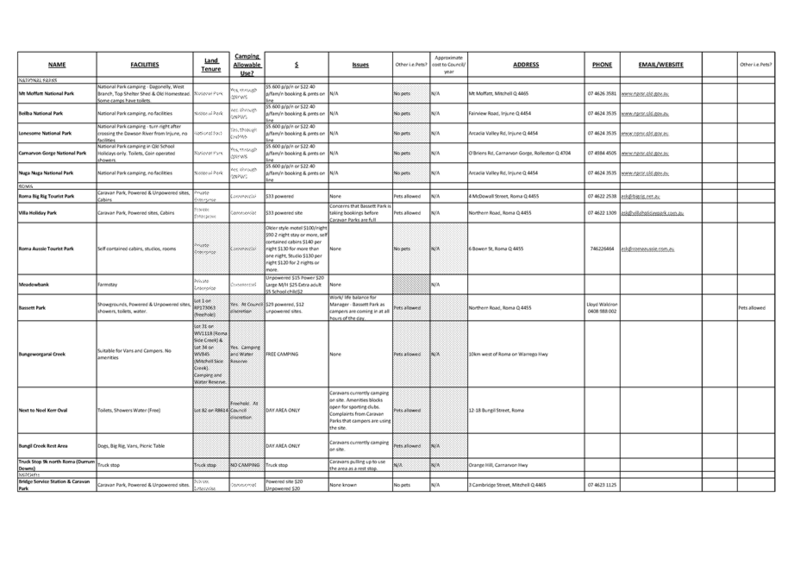 The Raw Water schedule for Surat is on a color coded system, with properties in the Blue Zone (eastern zone) allowed to water on the allocated hours on Monday, Wednesday, Friday and Sunday. Properties in the Green Zone (western zone) are allowed to water on Monday, Tuesday, Thursday and Saturday. This zoning system was introduced to ensured good water pressure for all users. To simplify the watering system I propose that a single schedule be introduced, regardless of whether the being used is treated or raw water. In doing so, this will not decrease the ability to water gardens, but it will simplify scheduling arrangements for the community. It should be noted that a majority of residents use raw water for the garden, which is unmetered, to minimize the risk of an excess water charge. To seek community opinion I distributed the attached letter on 2 July 2014, via email local distribution lists, and placed it on the notice board located at the Surat Post Office, inviting comment. To date, the only response I have received was in favour of the proposal. 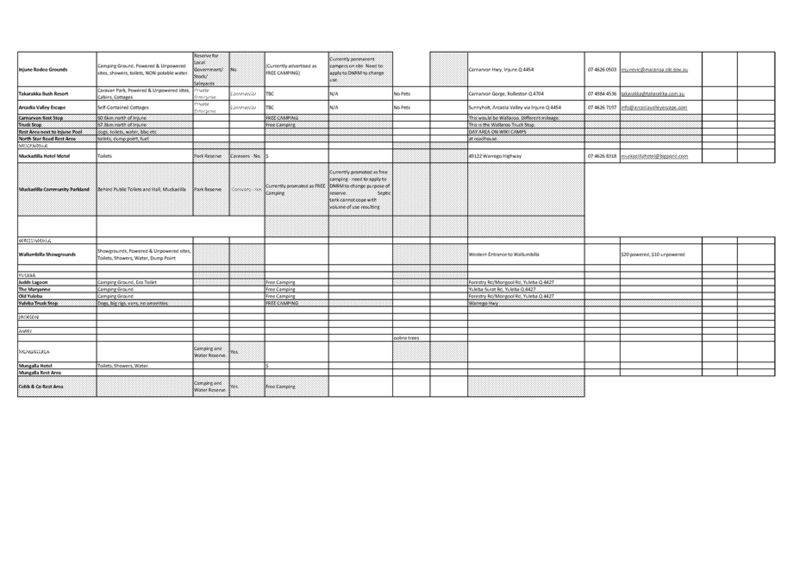 Also attached, is a map of the Surat Watering Zones for review. That the toilet block at the Surat Shire Hall be made available to the general public, when all or part of the complex is not booked for a private or community function, until such time as alternative wheel chair accessible showers are available for travelers. At the General Meeting on 13 November 2013 as part of a review and suggested improvements to the provision of public toilets in Surat, Council resolved that the toilet block at the Surat Shire Hall be closed to the general public, and only be available to people using the Shire Hall, Supper Room or Pottery Shed. 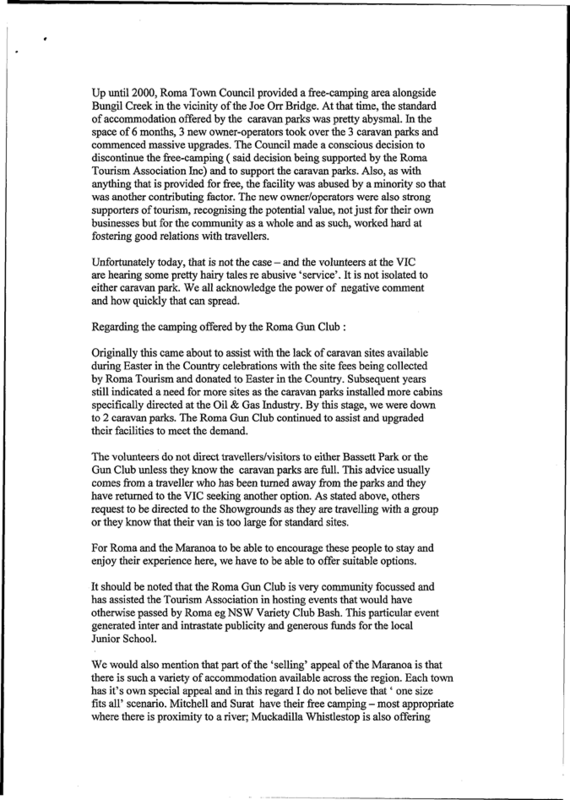 This closure was not implemented until approximately 4 weeks ago during the peak tourism season. Unfortunately the planned alternative options had not been implemented, causing a short term critical problem. Tourism is important contributor to the local economy in Surat, particularly during the cooler months, and these activities should not be dissuaded due to a limited supply of amenities the travelling public. Until such times as alternative options are implemented both privately and through Council, it is recommended that the Surat Shire Hall amenities be made available to the public, when the precinct is not otherwise in use.